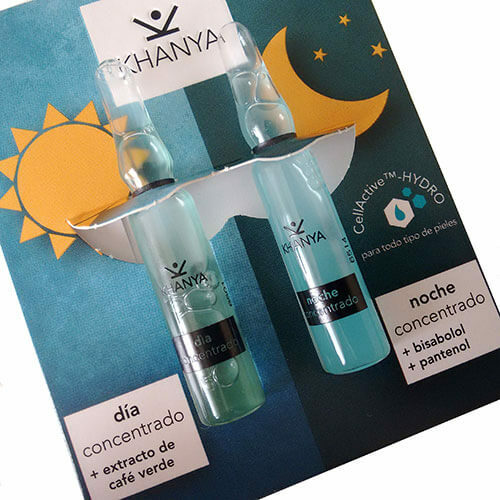 Khanya concentrates for day and night contain the special moisturizer complex CellActive™ that is extracted from the apple. This is a biological yeast from the green alga Chlorella Vulgaris and proteins extracted from the white lupine. 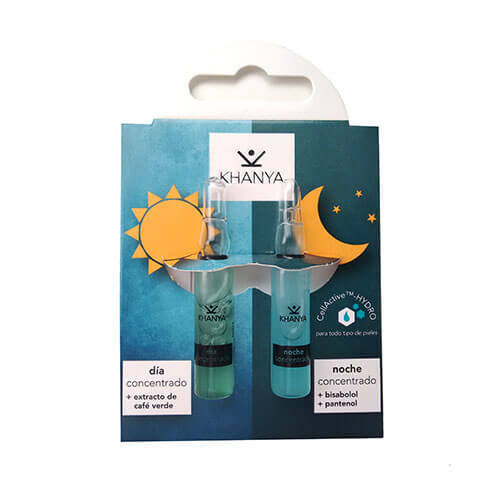 Khanya concentrates for day and night contain the special moisturizer complex CellActive™ that is extracted from the apple. This is a biological yeast from the green alga Chlorella Vulgaris and proteins extracted from the white lupine. Moisturizes the skin quickly and lastingly and gives it a great vitality. In the morning, the green concentrate gives the skin the energy to start the day well. Caffeine acts as a stimulant of energy metabolism. The green coffee extract revitalizes the skin. At night, the skin must recover and regenerate. Bisabolol, panthenol and licorice extract from the blue concentrate help soothe and regenerate the skin at night. Energy to start the day and night regeneration for always radiant skin. After cleaning the face, take the concentrate and break the neck of the ampoule with a piece of paper or a towel making a sudden movement. Pour the contents into the palm of your hand. 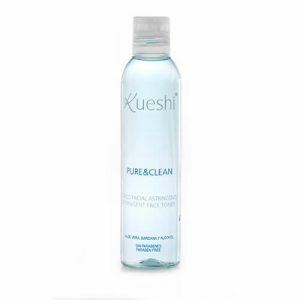 Distribute the product by gently massaging on the face, neck and décolleté until the liquid has completely absorbed. Skin tolerance dermatologically tested. PH neutral.